As far as advertising goes it sometimes is necessary to think outside the box. Billboard Marketing campaigns need to make and impact as well as reach a widest possible audience. And on occasion a company needs to reach beyond a local market to achieve certain goals. Petroleum Express, a fuel distributor based in Houston, used local billboards for their ‘HELP WANTED’ ads. After a few contracts ran their course and without enough success hiring local drivers it became obvious they needed to think outside their box in Houston. They hired Arizona Billboard Company to put up billboards around the Tucson Area. They figured Tucson had similar climate and city life and even offered a moving package to entice Tucsonan’s to make the move. This had very positive results. It became clear that seeking an audience outside a local market is not only beneficial for some businesses, it might be critical. 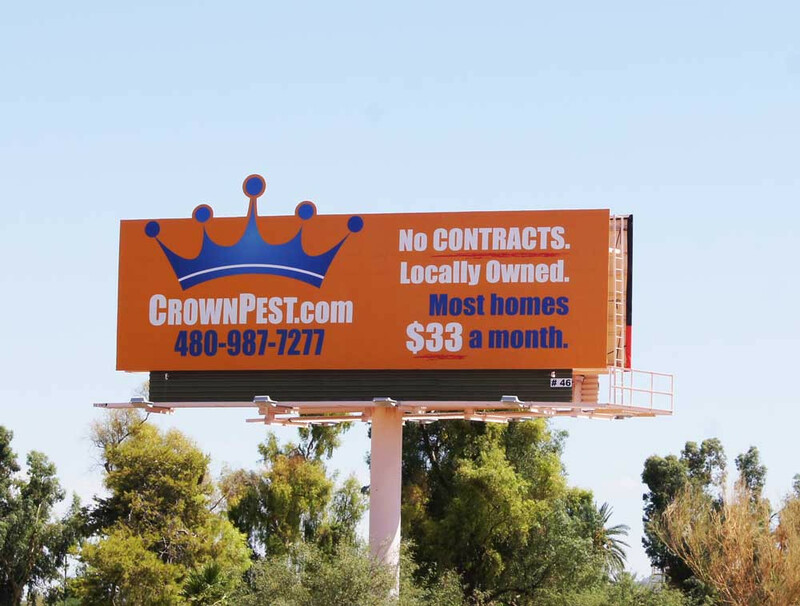 In 2014, Arizona Billboard company also created a billboard for Crown Pest Control. Their logo depicted a crown above their name. Our designers created a billboard that extend the crown above the borders of the board. This added a visual element to the billboard that captured the eye. It was different enough for passerby’s to look up and say, what is this billboard all about? That is why thinking outside the box is so necessary in this day and age. Make an impact with your statement. Present it with clarity and focus and your billboard campaign will succeed.